I’ve written before about the role of Navy medicine as a tool in service of our nation’s larger geostrategic / geopolitical interests. Today I purloin, in its entirety (lightly edited…), a post from “Commander Salamander”, a sometimes ascerbic commentator on our Navy’s leadership and policies. On Monday, he commented on the U.S. hospital ship USNS Comfort, which is now on a medical mission to South America. As is his wont, Salamander notes the geopolitical impact in the region – and much farther afield. Then, check his closing line. 1. Are your competitors building them too? Yes, look at the Chinese catch-up efforts. The USNS Comfort, which is on a three-month mission that has already taken in Ecuador and Peru and will end next month in Honduras, arrived at Colombia’s northwestern port city Turbo on Wednesday. 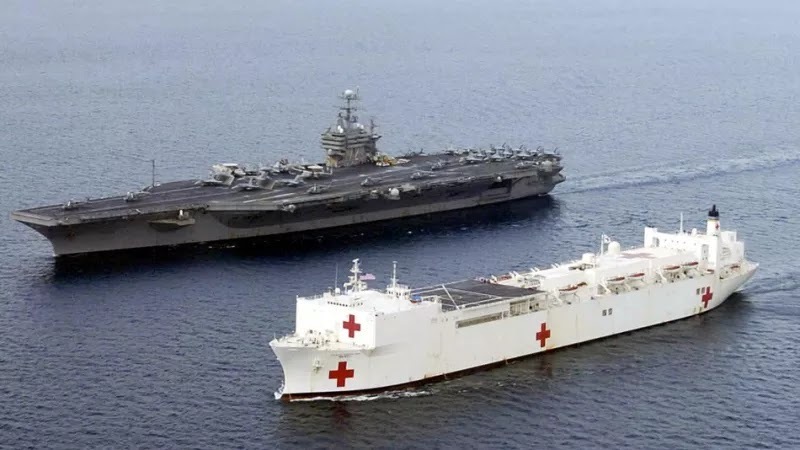 Patients in Turbo and Riohacha, where the ship will dock next week, will receive medical assistance from the crew of more than 900 doctors, nurses, military technicians and volunteers, with medical facilities on board the hospital ship as well as on shore. But it has stoked tensions in the region, with China — one of Venezuela’s few allies — hastily dispatching its own hospital ship to Venezuela in September ahead of the U.S. mission. Judge something by the enemies they make. Conclusion: we need 4 new, modern hospital ships. Get cracking.